I am really focused on improving my attitude and eliminating negative thoughts. I started paying attention to the thoughts bouncing around in my head, and I realized that almost all of them are negative. Whatever it may be, training, money, work, etc. It’s never going to be good enough. I really think that allowing these negative thoughts into your head has a direct effect on not only your daily life, but the outcome of your actions. If you think that something is not going to work out,it probably isn’t going to work out. I think that if we let these negatives thoughts take hold we can easily fall into a downward spiral. So over the next week I’m going to be focusing super hard on changing negative thoughts into positive thoughts, and focusing on positive outcomes. I also came across a meditation app called “Zero.” I’m to try to incorporate that into daily routine as well. I think it will help to clear my cluttered mind. I’m getting a lot of motivation from the Joe Rogan podcast the last couple of weeks. It’s very motivating and inspiring to hear people talk about taking care of their bodies. Eating well, sleeping, training, etc. When I listen to them talk about these kinds of things, it really does remind me that there is SO much opportunity to improve my own quality of life. Training has been consistent which is the goal. It was a long, holiday weekend so I really missed a lot of training opportunities this week. That’s totally ok. Fun times with family are more important and fun anyway. We had a great trip to the river Saturday, Sunday and Monday. I finished in 5 minutes and 5 seconds this morning. I feel really good about that. My all time PR is 4 minutes and 24 seconds, but it’s literally been years since I’ve done Fran. I should probably work on her a little more. Regardless, 5 minutes is pretty awesome for an Ultra Runner! Well…Holiday Weekend. Lots of Beer. Weighed in at 199lbs this morning. Next week I’ll be back down closer to 195. I’m not really stressing over what the scale says though. I’m focusing more on how I feel and how I feel about myself. Really working on building myself up and being satisfied and happy with who I am (Remember that positive vibes thing). Owning the great things that I accomplish. I shrug off a LOT of things that I think really are a big deal, and in a sense I think I’m robbing myself of better experiences. I am going to work on taking time to enjoy and celebrate my victories. I taught my Son how to drive a 4-wheeler this weekend. That was pretty awesome. Also, I finished writing this app for work that I thought was going to give me a lot of trouble. It turned out to be pretty awesome. Perfect example of stressing about the worst case scenario, only to find out you actually don’t have anything to worry about. Next project I go into it with a super positive mindset. 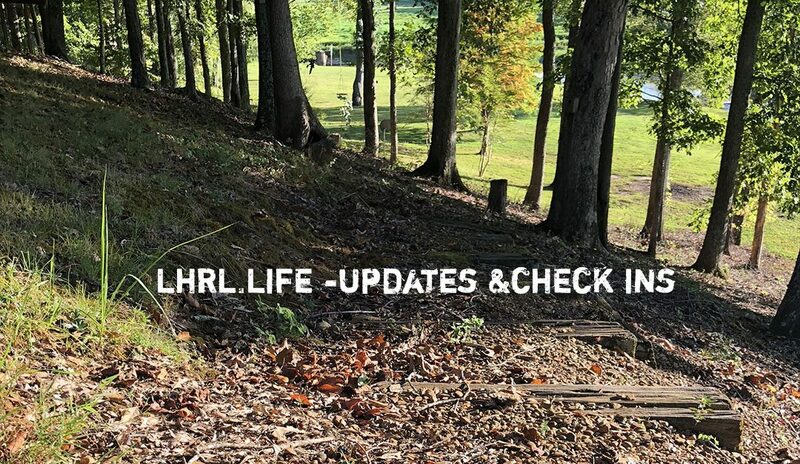 I’m grateful for the LHRL community and our podcast. The facebook group is growing pretty fast, and there are so many awesome posts it’s almost hard to keep up with it all. What an amazing thing. This week we had Jeff Brightwell on the show. He is a CrossFit coach, and a professional broadcaster. He was talking about calling different sports on the radio. I thought it was pretty impressive that he could just get thrown into a sport to broadcast on something he didn’t really know anything about. He said you just have to sound good and be confident. If you can do that, you’ll be good in 99% of situations you are thrown into. Boy is he right, and just speaks to the whole theme of this week’s check in. You can go into a situation with a confident and positive mindset or you can go into it weak and expect the worst. Confidence and positivity is no doubt the way to go.